Yet again, it has been a while. I have been sitting on this recipe for about 10 days now but just couldn’t convince myself to take the time to post it. You could say I’m a little worn out! I found this recipe in this month’s Food Network Magazine. I have a subscription to it and no lie read it cover to cover every month. The weather here in Oregon has been pretty crappy in the last few weeks so when I saw that there was a chili recipe I definitely wanted to try it in light of the unseasonably cool and stormy weather. 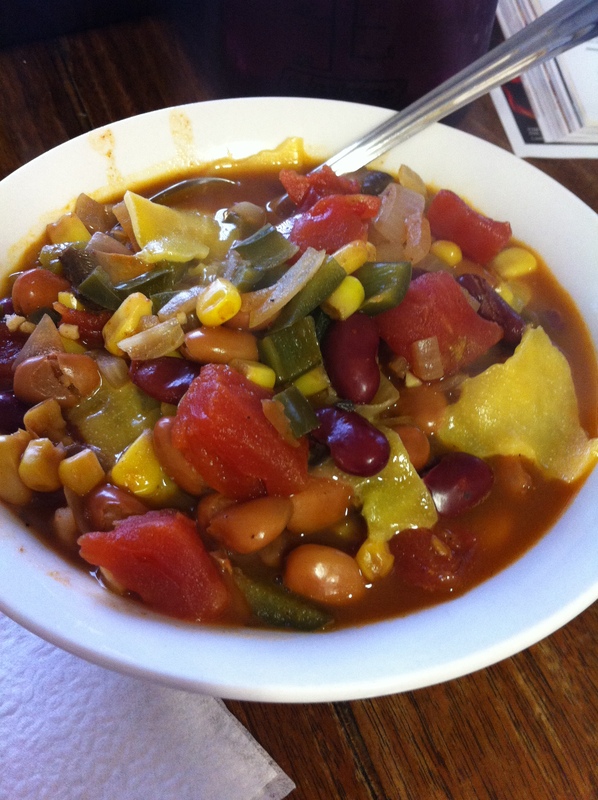 I doubled this recipe so I added some kidney beans along with the pinto beans. If I make it again I want to try it with vegetable broth instead of water because I think it would add to the flavor and take away from the need to salt the final product. Overall it was very good and I enjoyed the way the portobello mushrooms make it meaty and hearty. Add red onion. Stir in the garlic, chili powder and cumin and cook, stirring occasionally, until the onion begins to soften, about 3 minutes. Add the poblano, mushrooms and corn and cook, stirring occasionally, until just tender, about 3 more minutes. Add the beans, tomatoes, 1 1/2 cups water and 1/2 teaspoon each salt and pepper. Bring to a boil, then stir and reduce the heat to medium. 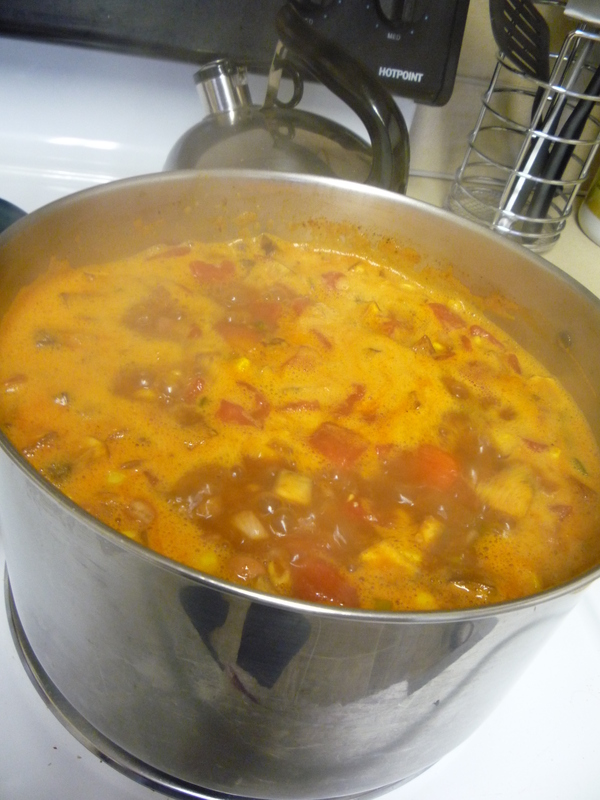 Simmer, stirring occasionally, until the vegetables are tender and the chili is thick, about 20 minutes. Num num num! 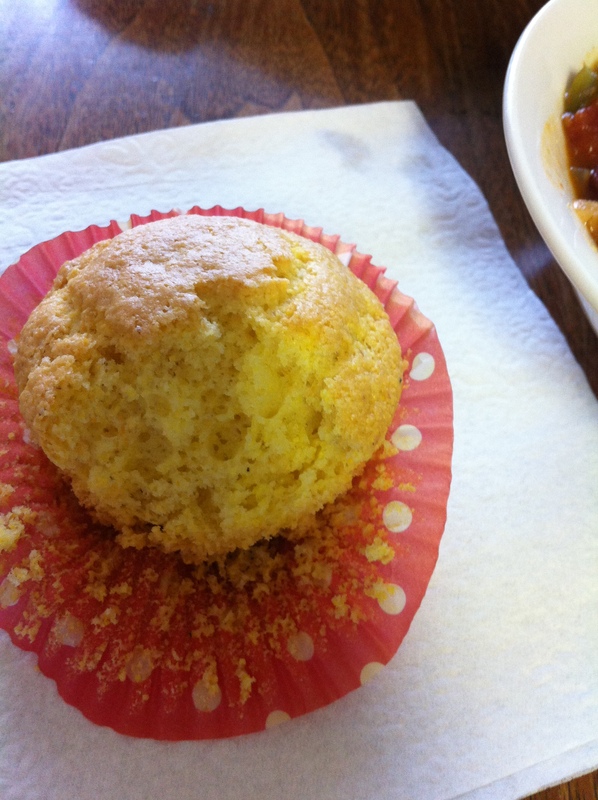 And of course, you can’t have chili without some cornbread to go with it!